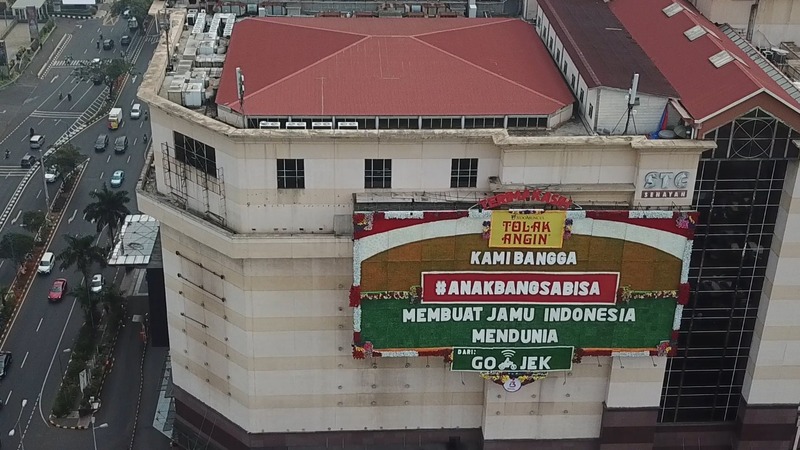 In line with the nation’s Independence Day celebrations, GO-JEK has launched a new campaign called #AnakBangsaBisa (which means “children of the nation”) to pay homage to various Indonesian brands and individuals who made their mark on the global stage. 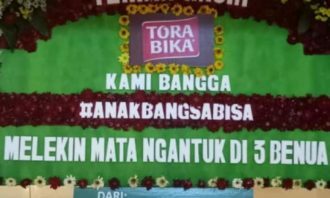 This saw the ride-hailing platform running three out-of-home executions featuring Indonesian brands such as Kopiko, Kapal Api and Tolak Angin, involving huge floral arrangements. Floral arrangements in Indonesia are typically used to congratulate others or celebrate special occasions and are usually smaller in size. 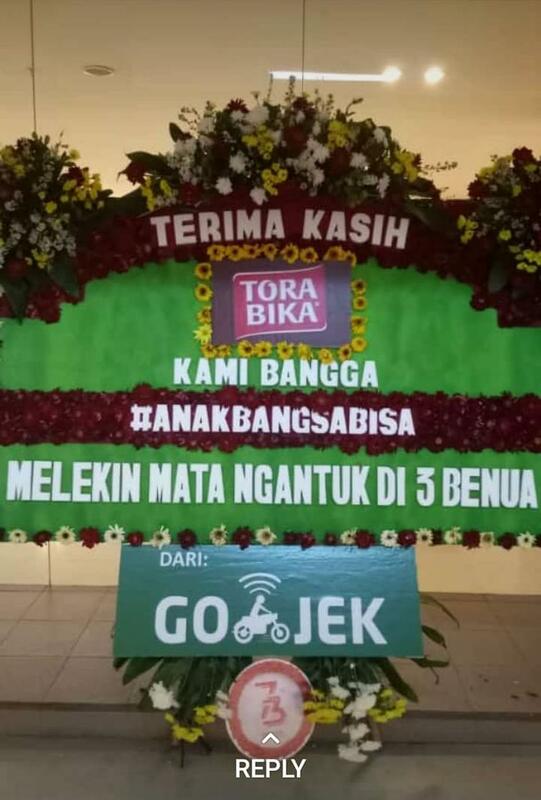 The campaign will also see GO-JEK sending congratulatory flower bouquets and boards to other Indonesia brands such as Kuku Bima, Indomie, Torabika, Polygon, Extra Joss, Garuda Indonesia, as well as Combiphar’s Insto and OBH Combi. This is along with musicians, artists and athletes who are expected to receive the bouquets in coming weeks. Since its posting on Sunday, the video for the campaign already garnered over 276,000 views, 3,700 reactions, 80 comments and 77 shares, at the time of writing. 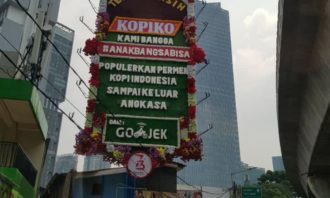 Images of the out-of-home activations were also shared online and praised by netizens for being creative. In a conversation with Marketing Interactive, VJ Anand, senior vice president of Creative Labs at GO-JEK explained that the occasion was the right time to thank these brands and talents and also learn from them. “[GO-JEK] is also expanding beyond Indonesia, as such, these brands and people are our inspiration in making Indonesia proud,” Anand said. 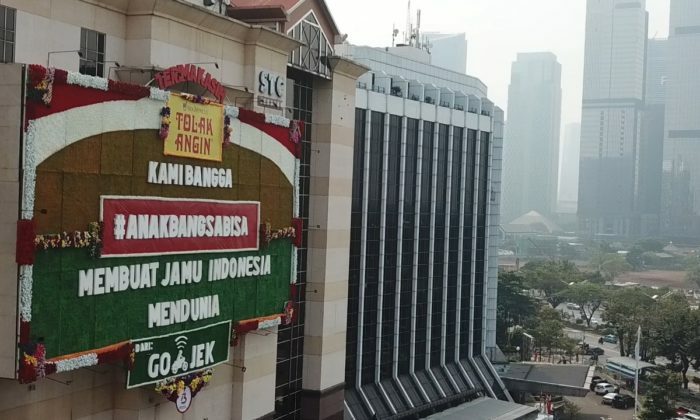 Also weighing it was Bahari Chandra, vice president of Creative Labs at GO-JEK, who added that this Independence Day, the company thought about national pride. It also thought about brands and figures locals would be proud of, and people overseas would recognise too. 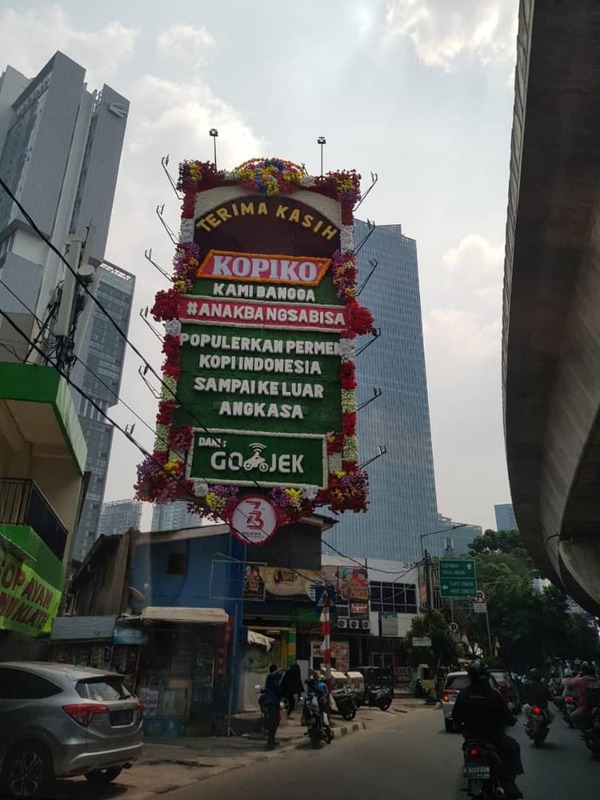 “We wanted to pay homage to the all the brands and people who made it overseas and made Indonesia proud, while putting a local spin to it, hence the flower arrangements,” Chandra added. Most recently, GO-JEK expanded into Vietnam and Thailand, establishing two locally founded companies in the process. The move will also saw the creation of new brands, namely GO-VIET in Vietnam, and GET in Thailand. Both markets were also run by locally-founded management teams, with GO-JEK providing the knowledge, expertise, technology and investment. The move comes on the back of GO-JEK’s investment of US$500 million into its international expansion, which will see them entering Singapore, Philippines, Thailand and Vietnam in the next few months. 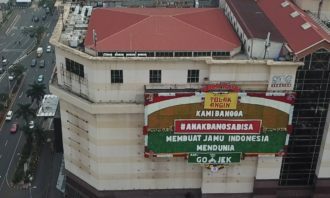 The plan was to start with ride-hailing, with plans to replicate its multiple-service business model in Indonesia which it is famed for. Microsoft has appointed Dinesh Nair as its new developer and platform evangelist (DPE) lead for Malaysia. ..
"I think hard before speaking and certainly use more heart. "..